I am delighted to announce that David Bevan-Thomas has been appointed an Honorary Life Member. This is in recognition of all the support that he has given the Club since he joined over 40 years ago and his impressive record in various national tournaments. 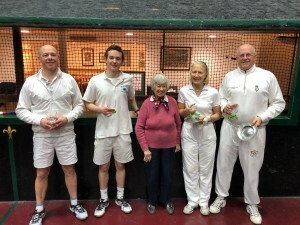 Many years ago he founded the Two Generations Tournament which is a highly popular family doubles tournament played each year just after Christmas. He himself regularly plays either with his son, Timothy, or with one of his grandsons. He says that even though he has made the finals twice he is still looking forward to his first win! However he has always made a point of presenting his Silver Trophy to the Winner since the tournament began. The Secretary’s Cup is such a wonderful format with players of all handicaps being paired up at random. This year we had handicaps ranging from 32 to 64. All of the group matches were incredibly close and the 5 pair play off group on the Sunday morning went down to the last match to decide a winner! The first semi-final was between Kate Rowe & Charles O’Donnell against Martin Fox & Alex Maccallum. Kate and Charles were just a little too strong for Martin and Alex who had fought through the play off group and won 6/3. The second semi-final was the experienced pairing of Andrew Falk & Robert Dolman against Tim Armstrong & Stuart Allison and it was very close all the way to 4 all and then Stuart and Tim served some very tight railroads to close it out 6 games to 4. The final really looked like it could go either way and was incredibly close. 1/0,1/1,2/1,2/2,3/2,3/3 and so on all the way to 7 all but it was Kate & Charles who held their nerve to save three match points against them the game before to close it out 8 games to 7! 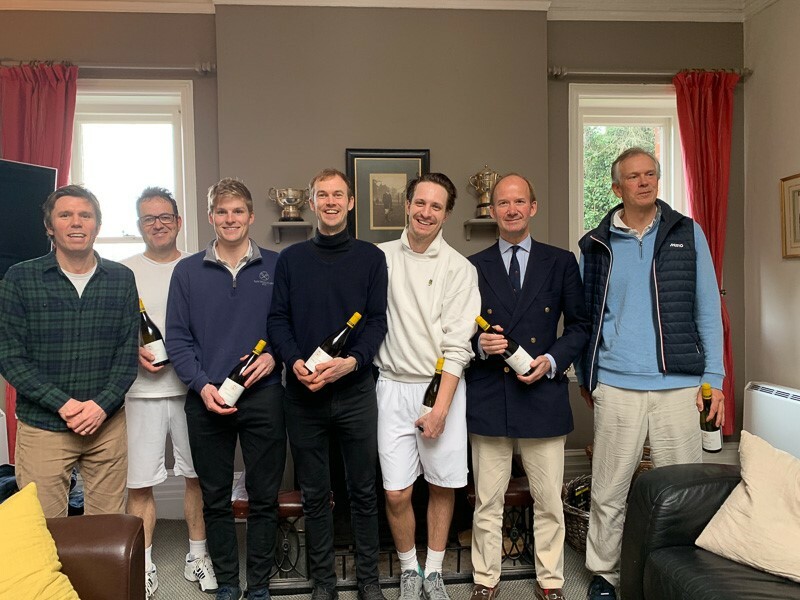 A big thank you to everyone that played and made it such a great weekend and a huge thanks to Andrew & Sally Falk for tremendous lunches all weekend. What a feast of tennis we had last week! 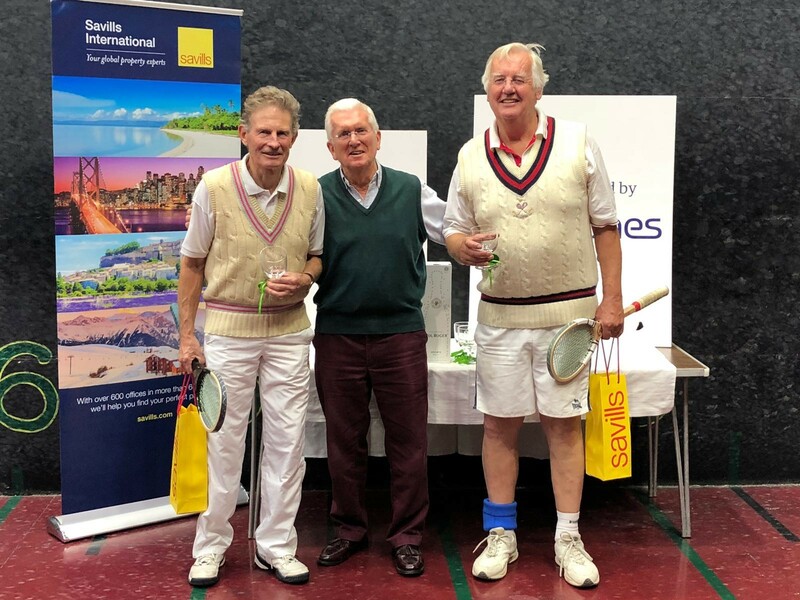 32 pairs, 860 games, 72 sets, two markers and over 46 hours of play from Wednesday to Sunday and pairs ranging from handicap 12.6 to 60.3 there were all standards taking part. With 3 out of the 4 pairs in each group progressing through to the knockout stages it gave everyone a good chance. 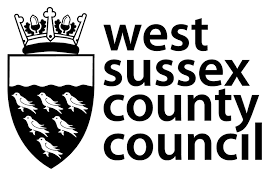 On Thursday evening we had a fabulous curry night hosted by David and Carline Fortune and some fantastic play from a very strong group. 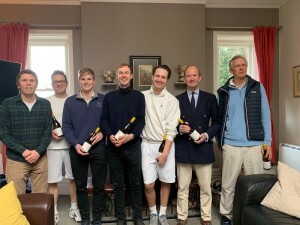 The strongest group on handicap played on Friday from 5-9pm in front of a packed dedans, some of which were taking part in a wine tasting kindly hosted by PHTC member James Simpson from Pol Roger and Henning’s Wine in Petworth. All four pairs were under 24 handicap and it really was a great atmosphere, followed by a lovely dinner hosted by Andrew and Sally Falk. 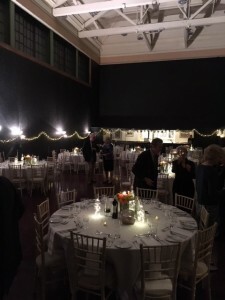 On Saturday evening the court was absolutely transformed for the tournament dinner. 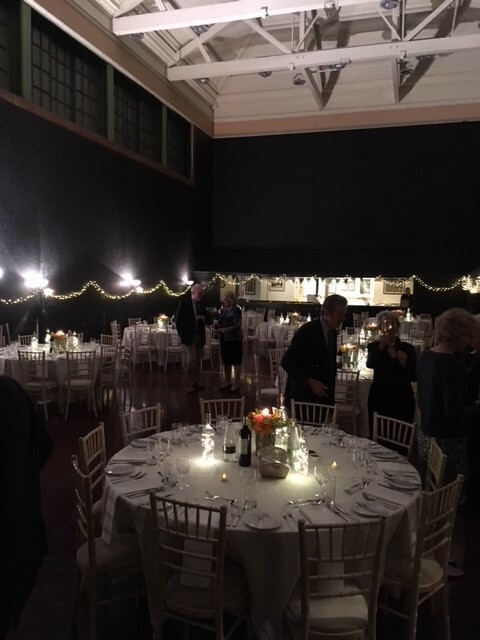 Lesley Dolman did an amazing job with an endless supply of fairy lights lighting up the court and tables ready for 95 members and guests. We had a delicious 4 course dinner followed by coffee and speeches from our Vice Chairman/ Tournament Organiser Robert Dolman and Chairman Philip Robinson. On to the quarter-finals and all of the matches were very close, but the new favourites were pipped 8/7 by David Christie and David Brooksbank This was followed by two extremely close semi-finals with Simon Gray & Stuart Allison flying under the radar so far but made a late fight back to beat Jon Petersen & Luke Readman 8/7. David Christie & David Brooksbank also came back to beat David Fortune & Andrew Reid-Thomas 8/7 in the other semi-final. 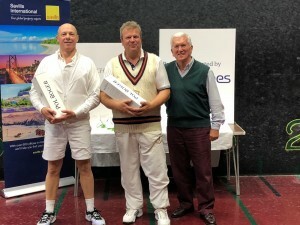 The final was played in a great spirit and it was nip and tuck all the way to 7 all, 40 all when Stuart Allison was presented with a ball on the backwall at the service end and lucky for him he remembered all of those lessons and placed the ball down to the base of the tambour to take the victory with partner Simon Gray. The final and in fact the whole tournament was played in fantastic spirit and myself and Louis had a great time marking every match. Congratulations to Simon and Stuart! A huge thank you to Carolyn Armstrong -Smith for supplying a fabulous lunch every day for players and guests, to Lesley Dolman for Dinner on Wednesday evening and supplying and setting up the lights for the Saturday dinner, David and Caroline Fortune for a fabulous curry on Thursday night, Andrew and Sally Falk for dinner on Friday night, Carole Muir for the Saturday evening dinner arrangements and to Lyn Robinson for the table flowers for the dinner but a special thank you to Robert Dolman who has put in a huge amount of time and effort recruiting players and replacing players and was at the club for every single ball that was struck during the tournament! We all look forward to the next big event at the club!